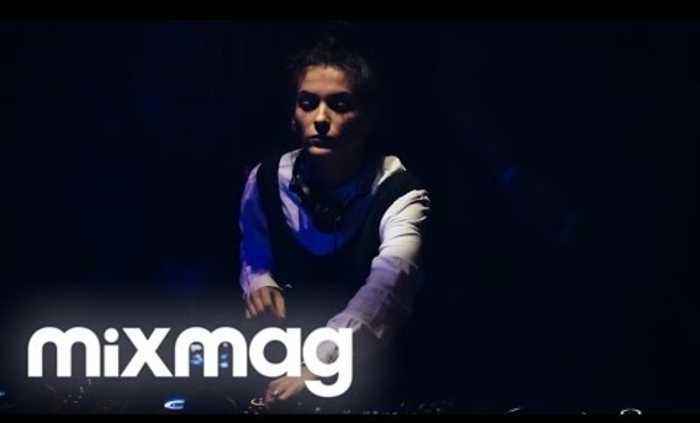 MIXMAG's live stream in celebration of the PLAYdifferently MODEL 1 mixer with JULIA GOVOR at Output in Brooklyn. Watch the rest of that evening with RICHIE HAWTIN, MATADOR (live), and LOUIE VEGA here: http://mixm.ag/ixRZFs More on PLAYdifferently: http://playdifferently.org More on Richie Hawtin: https://soundcloud.com/richiehawtin More on Julia Govor: https://soundcloud.com/juliagovor More on Mixmag: http://www.mixmag.net/video Check out what's coming up at Output: http://outputclub.com For the very first time, Mixmag Live departed the UK and arrived in the United States. Deservingly, New York City was the first to host Mixmag Live abroad. Brooklyn's premier nightclub Output hosted Mixmag Live's debut in North America, which honored a league of pioneers not only in techno, but also in music technology. RICHIE HAWTIN led the charge at Mixmag Live, presenting his MODEL 1 PLAYdifferently mixer alongside a strong showing of talents including house artist Louie Vega, MODEL 1 ambassador Matador and rising star Julia Govor. The party's was celebration of the December Tech Issue which features Hawtin, Matador, Nicole Moudaber, Hito, Dubfire, Chris Liebing, Loco Dice, Paco Osuna and Fabio Florido. Outstanding newcomer and Russian output JULIA GOVOR has defied all the odds. Before becoming an acclaimed world talent, Govor debuted as a cassette-DJ in the small military town of Abkhazia and sang in a military band. Together, the league arrives as ambassadors of MODEL 1 and masters of their craft. It's set to be a special night in Brooklyn for this Mixmag Live celebration of all things music and technology with some of the underground's finest.